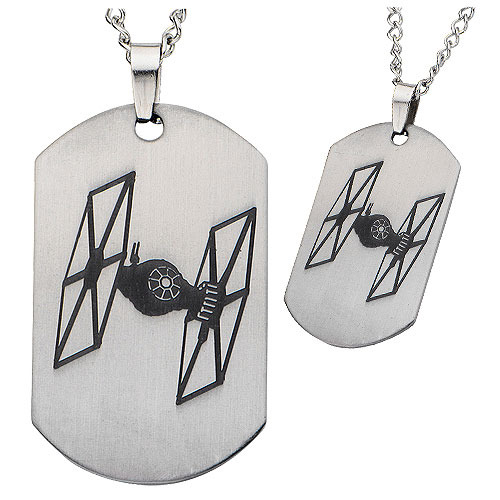 Show your love for Star Wars: Episode VII - The Force Awakens with the Star Wars: Episode VII - The Force Awakens Tie Fighter Laser Etched Stainless Steel Dog Tag Pendant Necklace. This beautiful necklace is made of stainless steel. Get the Star Wars lover in your life this awesome piece of jewelry! Measures approximately 1 1/2-inch. Ages 14 and up.